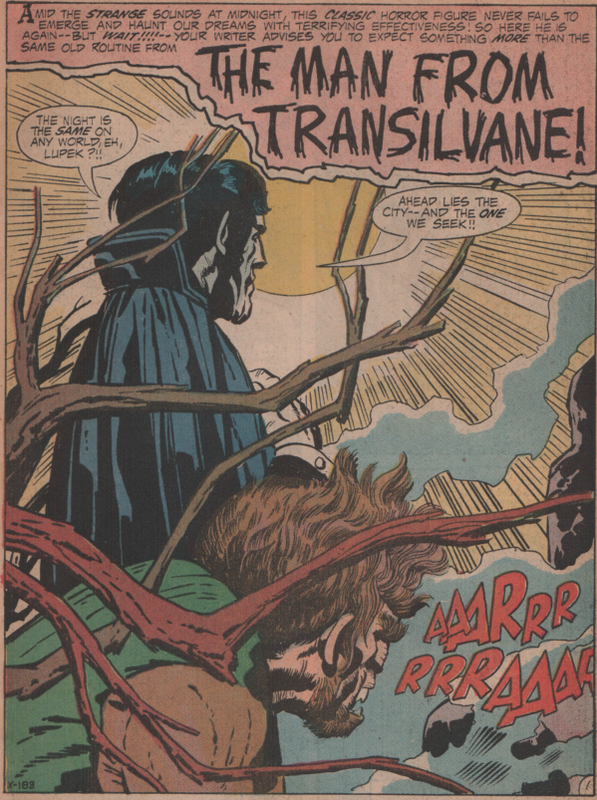 Superman’s Pal Jimmy Olsen 142, 1971 “The Man from Transilvane!” | Magazines and Monsters! ← Marvel Comics: Thongor Warrior of Lost Lemuria! 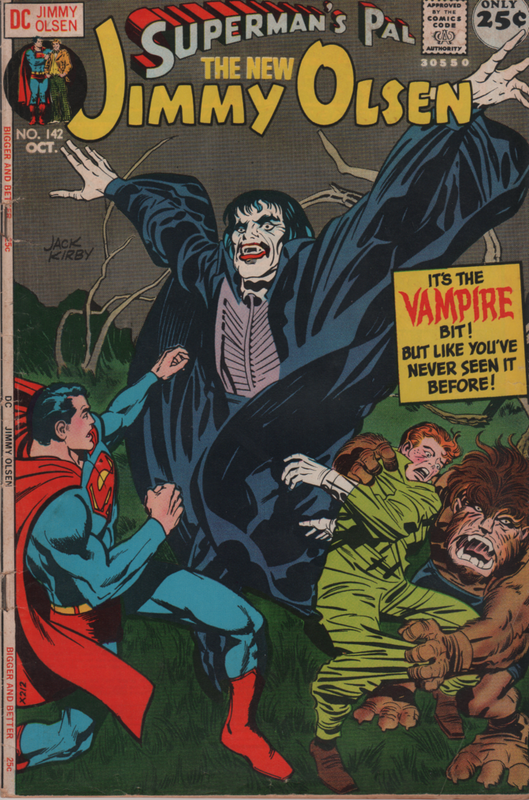 If you would’ve told a comic book reader in the 1960s that Jack Kirby would soon be working for DC comics, and writing/drawing/editing a story about Superman vs a vampire, I’m sure there would’ve been some laughs. Well, welcome to 1971, where Kirby has again returned to DC and was given the freedom to create with very little oversight (other than DC being fools and redrawing his faces). 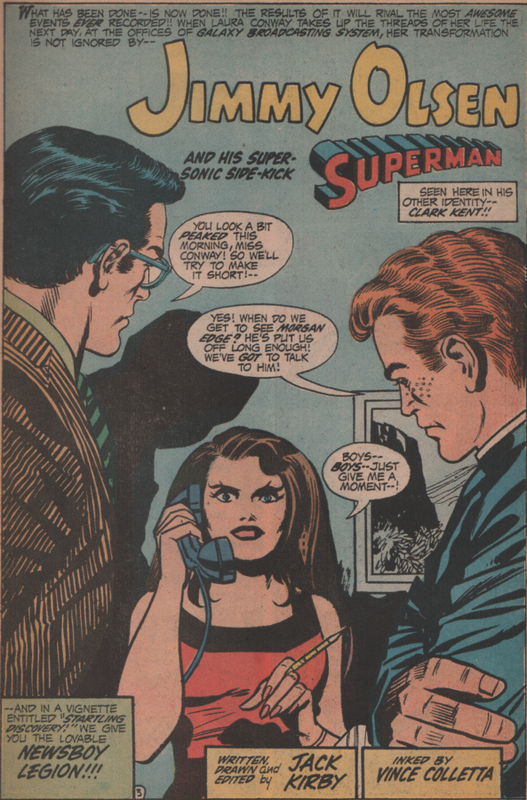 He took over the lowly title of Superman’s Pal Jimmy Olsen, as to not bump another creator off of a good book. Yeah, that’s the kind of guy he was! Inside we see the normal bombastic Kirby images that are larger than life, and exploding off of the page. 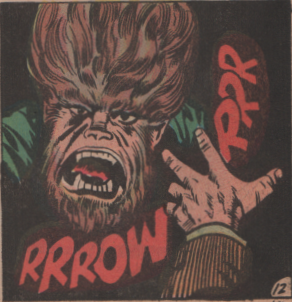 A vampire, a werewolf (type creature), and of course the regulars from Metropolis. Clark and Jimmy need to find out why Laura Conway is acting strangely and why she has two puncture wounds on her neck! It doesn’t take long for the perpetrator to rear his sinister head, and the action is full on! The cover has inks by Mike Royer, and his work with Kirby in this era is great (more of their work coming soon!). 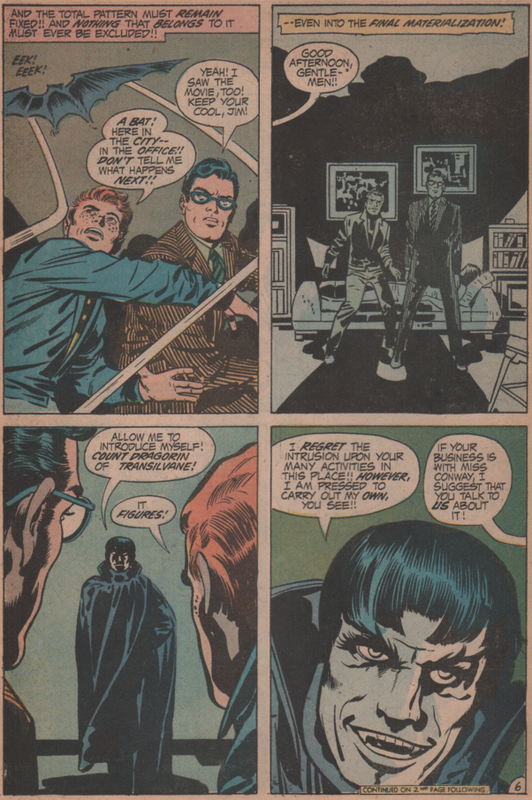 The interiors were inked by the oft maligned Vince Colletta, but honestly, they look fine in this issue. 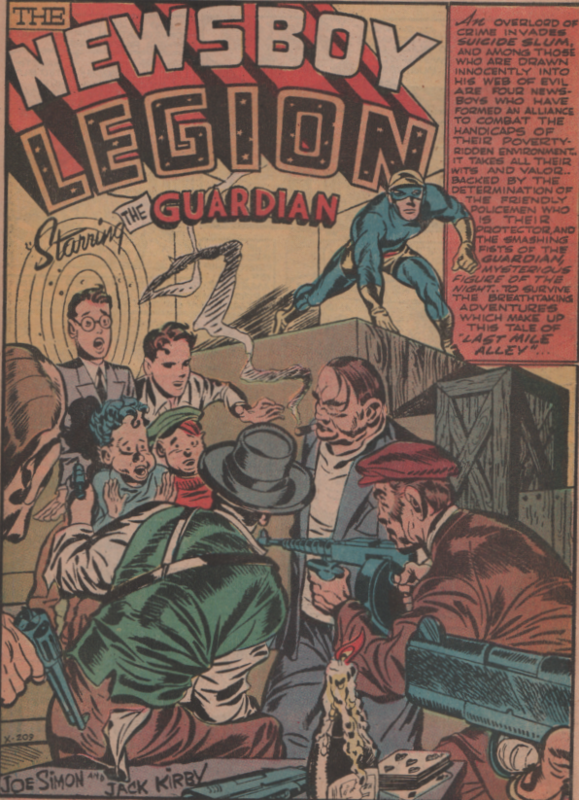 There are also a few pages of bonus material by the King, and a Newsboy Legion reprint with Joe Simon!